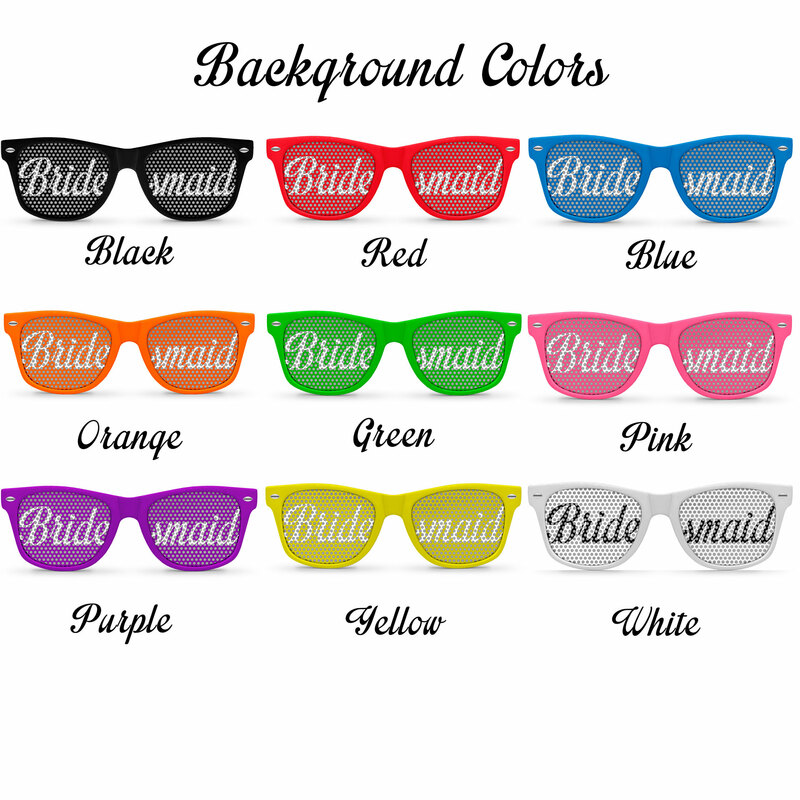 Customize your frames by selecting a text color and lense background color from below. Please Note: If you do not adjust the drop down menus below for 'Choose Text Color' and 'Choose Lense Background Color', your order will automatically default to 'Black' text and 'Black' lense background. Order Without Personalization: Please note, if you wish to order this item as it appears here on the product detail page, please do not adjust the drop downs and select the 'order without personalization' button. You're one of a kind and your sunglasses should be too! 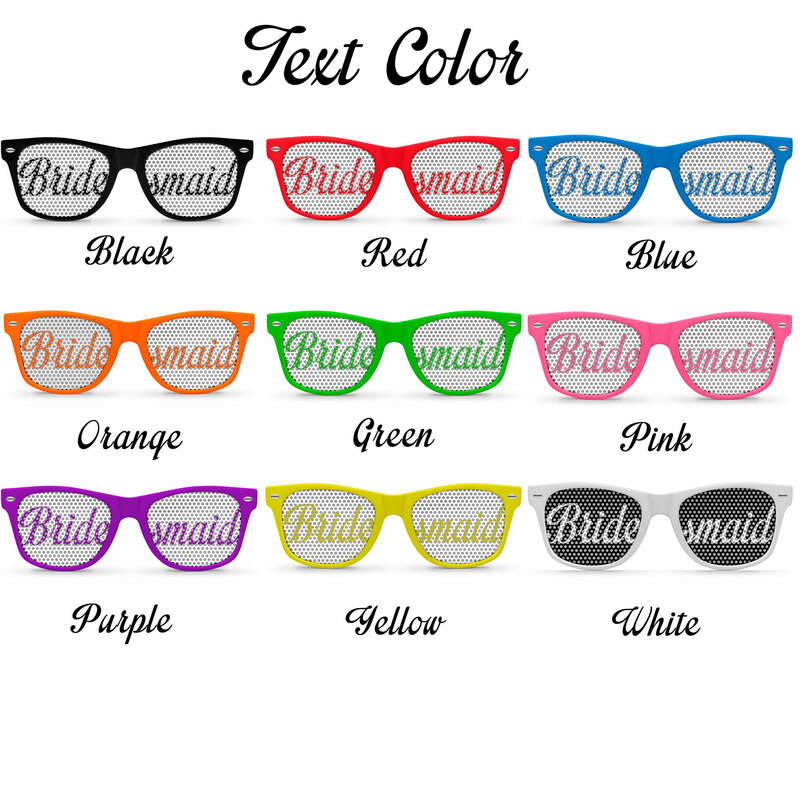 Personalize these Bridesmaid sunglasses to match a wedding theme or bachelorette party. With an assortment of colors and designs to choose from, there's no stopping the fun!